Cambridgeshire and Peterborough NHS Foundation Trust and mental health charity Mind in Cambridgeshire have teamed up to offer a new safe haven for those experiencing a mental heath crisis in Peterborough. The Sanctuary will open on Monday, September 19 to allow people to get practical and emotional support. NHS organisations together with local authorities, police and representatives from the voluntary sector have combined to launch a number of projects aimed at improving the way urgent mental health care is delivered and to reduce the pressures on accident and emergency departments. Funding for these services is non-recurrent, but if the pilot is successful it could lead to the new services being commissioned longer term. In May this year, CPFT and Mind in Cambridgeshire opened a sanctuary in Cambridge and 200 of people have received support so far. Elaine Young, associate director for service integration for CPFT, said: “The opening of The Sanctuary is a really important milestone in improving care for those who are suffering a mental health issues. “The Sanctuary offers people the chance to take a ‘time out’ in a non-medical environment rather than going to an accident and emergency unit which is often not the most suitable place for people to be but historically there has not been a suitable alternative. Open from 6pm until 1am, The Sanctuary in Peterborough will be operated by staff from Mind in Cambridgeshire. The exact location is not being identified as referrals to The Sanctuary can only be made by a GP or another health professional or the police. Staff will offer people a listening ear and can help them link up with clinicians from CPFT’s services, the local authority and community-based services. People who use The Sanctuary cannot stay overnight.
. A First Response Service, run by CPFT, which will provide tele-coaching and face-to-face assessments in the community out-of-hours and respond to urgent referrals from emergency services. 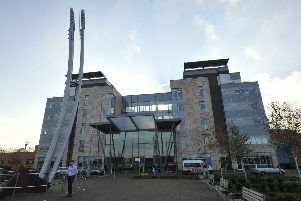 Originally piloted in Cambridge, it has so far received more than 450 referrals and will now expand across Cambridgeshire and Peterborough.
. People will now be able to refer themselves to urgent mental health care services across Cambridgeshire and Peterborough by telephone, rather than having to be referred via their GP or other emergency services. The service will operate 24 hours a day, seven days a week. Vanguard is a national programme set up to test out new ways of providing emergency care to improve patient experience and reduce admission rates to accident and emergency departments.